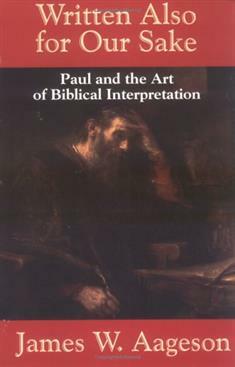 In this book, James Aageson likens interpretation to a conversation and uses Paul as a model for illustrating this. In Paul's case, interpretation is a conversation between two people, Paul and scripture. Aageson gives four case studies of Paul conversing with scripture: Paul's use of Abraham texts, his understanding of Israel, his use of the figure of Adam, and his seeing Christ as a figure by which all traditions are understood in new ways.